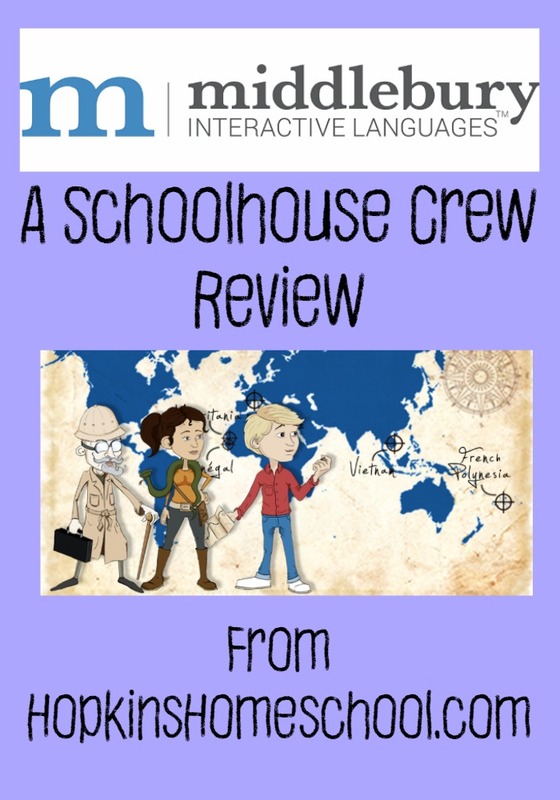 What do you do when your first grader wants to learn French? Do you find a high school program and try to adapt it to the needs of a young child? I decided to try Middlebury Interactive Languages and their French Courses, which has an Elementary French 1 program for grades K-2nd. This program, is a fully online program that teaches the child the language of choice through fun games and activities right from the beginning. 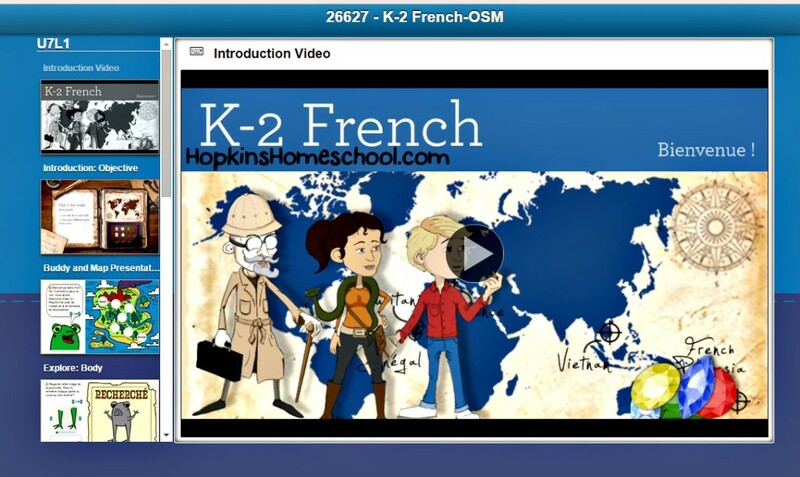 For this elementary program, your child will have their main focus on the French vocabulary. But the vocabulary is not the boring study this word until you have it memorized kind of vocabulary. As soon as Ray Ray logged in, he was finding out that he was going on an adventure in France, and he needed to pay attention! This was easy with the interactive lessons that had him doing activities to learn the vocabulary instead of reading and studying. The Middlebury Interactive Language program contains all you need to help your child learn the language of their choice. It comes with a calendar that has the lessons planned out for you and a gradebook to see how your child is doing. I will say right off the bat, we did not follow the calendar. Ray Ray would do 2 or 3 lessons one day and then skip a day or two. He was excited to be able to finally learn French in a way that he understood, by playing a game. We would use the calendar as our guideline as to what we needed to do each week. Ray Ray would look at it and know what he needed to do. Than I would let him go at it. He was in charge of his learning in this program and he loved it! If you didn’t want to follow the calendar, there is a table of contents showing all the units. In the French course there are 12 units, each unit consisting of 6 lessons. This gives a wonderful amount of time to focus on each category and practice it before moving on. Each lesson consisted of different parts. You would start out with a review of what you already learned, keeping this fresh in your mind. Following that, your child would be introduced to the new set of words or phrases. This learning of the new material comes in many parts. The kids have many chances to learn these words and phrases in many different games, activities and stories. Ray Ray has always loved French. He has wanted to learn it, and we have tried many different programs. This is the one program that seems to work for him. I think the interactive immersion is what works. Everything is spoken and written in French, and you have to move to a different screen to see and hear the English. Having him listen to someone telling him what to do in the language is how we learned to speak our current language as babies, so why wouldn’t it work as children? Being able to check and see if you understood what they were saying makes it the perfect program for him. “I love it, it is really good actually.” This is what I hear from Ray Ray when I ask him what he thinks about this program. When asked what he likes about the program, “I like almost everything. I really like being able to move my character. Every time I sit down, stuff is new.” And what he doesn’t like about the program, “The thing I don’t really like is trying to record myself, but that is the only thing I don’t like.” Now how can you argue with a 7 year old? Middlebury has many different languages and grade levels. Go and check them out over here!